IPC A-610 Certification for IPC Specialist (CIS) | IPC 610 Class - BEST Inc.
IPC A-610, Acceptability of Electronics Assemblies, is the most widely used inspection standard in the electronics industry and has earned an international reputation as the source for end-product acceptance criteria for consumer and high reliability printed circuit assemblies. Certification in this course demonstrates your commitment to continuous improvement of product quality and reliability. The IPC-A-610 Operator/Inspector Training & Certification course provides individuals with a portable credential that represents their understanding of IPC-A-610. When completed and meeting the requirements the students become a certified IPC specialist. 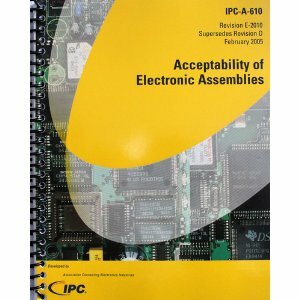 This IPC 610 Class course of designed for those associates involved in many facets of the electronics assembly business. Personnel from the sales, management, procurement, inspection, engineering and project management are all eligible to become certified IPC specialists (CIS) in the IPC-A-610. It is helpful that students have familiarity with component identification and ESD principals as well as having a 5th grade or better reading/writing skill level when enrolling in this class. This class does NOT include any hand soldering instruction. However, this course does include a hands-on section as part of the inspection module training related to the inspection of wires and terminals, as well as printed circuit boards. Please see the "Assembly Courses" for hand-on training. - Each certified IPC specialist will earn of overall score of 70% or better average score on IPC examinations in order for certification.